Excited by the caliber of athletes interested in this year’s Okpekpe Road Race, a former technical director of the Athletics Federation of Nigeria (AFN) and route and participation coordinator for the international 10km race has predicted a new men and women’s course record. Ebewele, an accomplished athletics administrator believes the elevation of the race to a silver label status has increased the possibilities of having a new course record come May 12 this year in Okpekpe, a hilly town near Auchi, Edo State of Nigeria. The record for the men and women’s race were set in 2014 by the Ethiopian duo of Teshome Mekonnen (28:35) and Wude Ayalew (32:41) respectively and since then none of the athletes has run inside 29 seconds for men and 33 seconds for women, but Ebewele believes all that will change this year. 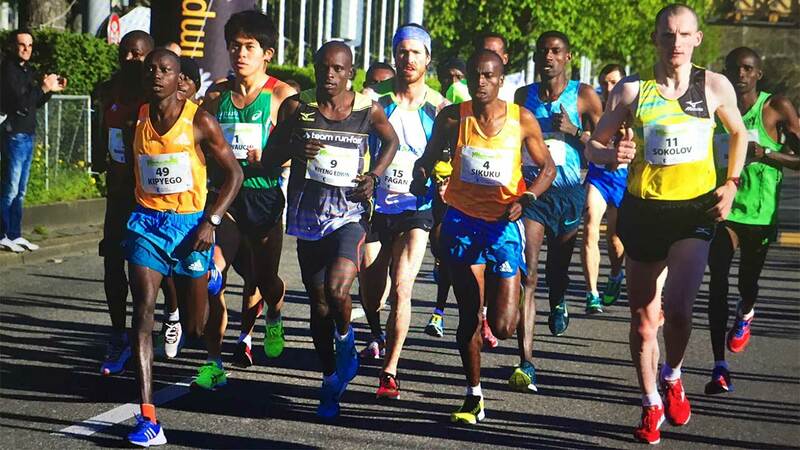 “I foresee another 28 minutes run for men and 32 minutes run for women when the sixth Okpekpe international 10km race holds in May in Okpekpe,” said Ebewele, who is convinced the quality of elite athletes in this year’s race will ensure faster times are recorded. ‘The elevation of the race by the IAAF to a silver label status, the first in West Africa guarantees that the elite field will be made up of athletes who have been classified as ‘silver level elite runners’ and they are those who have recorded in the 36 months preceding the race, or in the race itself performances that are 29:00 or under for men and 33:00 or under for women.